Meetup.com is a sure fire way to get like-minded members of your local community or city to come to a designated location for your presentations or educational sessions. 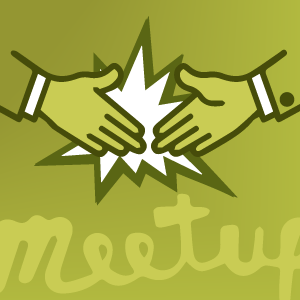 Using Meetup.com as a tool and a platform to schedule and offer local meetings in your area is extremely powerful. 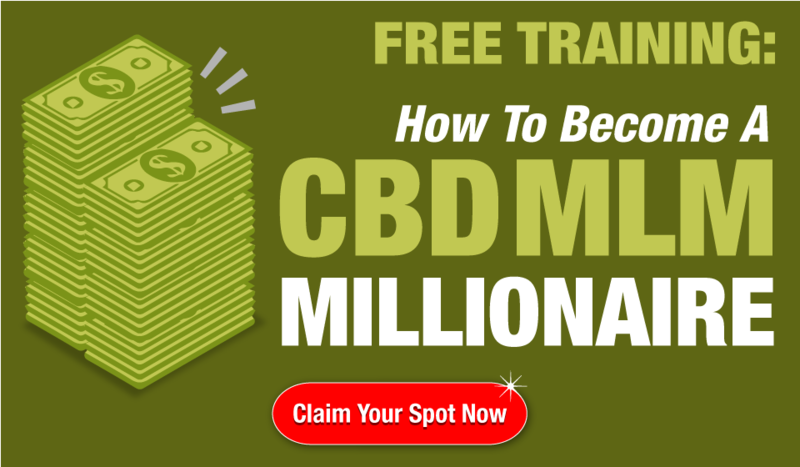 In addition, it will put your mind at ease knowing that the people you end up talking to during your meetup will be excited to hear what you have to say. That's half the battle – getting folks to show up who will actively listen and engage with you during your educational session. Meetups are great for a number of reasons and can really help you connect with like-minded individuals. The most successful Meetups have a similar theme and that's to share without any expectation. The goal of the meet up is to bring people together, to share and educate. It's that simple. 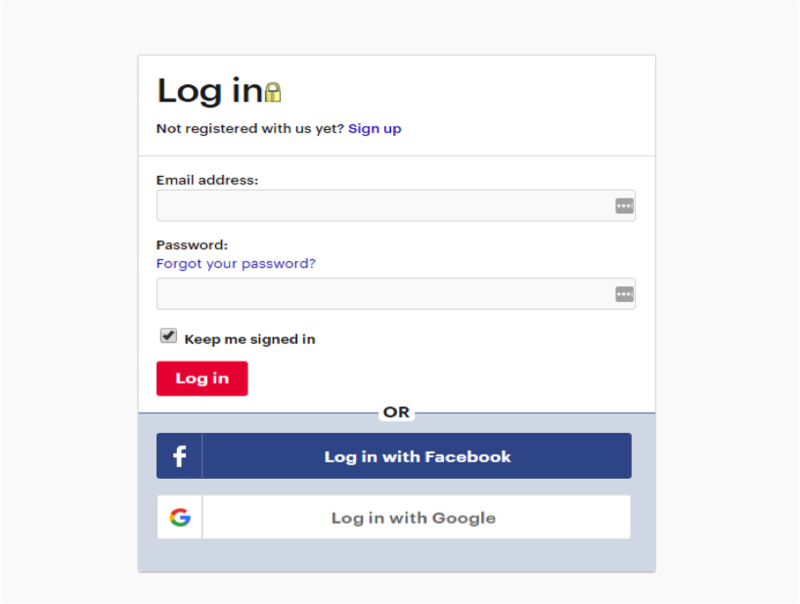 Step 3: Your location will usually be recognized on this page so changing the location might not be necessary. Double check though to make sure the meetup.com team promotes your meetup group in the right geographical location. Choose what your meetup will be about. You can enter in a keyword(s) and select as many tags as you want based on the keyword(s) you enter. After selecting the tags for 1 keyword(s), you can enter in more keyword(s) and select tags (if you want) related to the new keyword(s) you entered. You may choose as many keyword(s) and tags as you like. Choose the name of your meetup. Keep this simple and straightforward. Choose a name that will directly reflect what your meetup is about. Define who should join your meetup and what your meetup will do for those who should attend. Click “Check Out These Examples” for inspiration and ideas to include in your meetups’ description. Your meetup groups description should tell specifically WHO should come to your meetup group, WHY they should attend, and WHAT value they will get by attending your meetup group. Spend some time on this part. 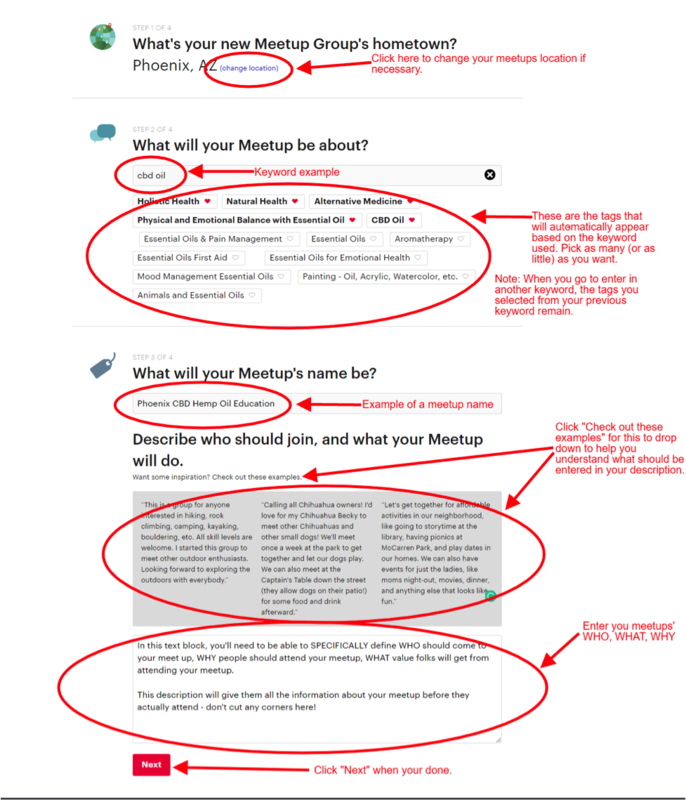 Potential attendees WILL read this before deciding if your meetup is what they are looking for. Make it good, and accurate! $14.99 per month when paid 6 months in advance. When choosing this subscription option you will save 25% for a grand total of $89.94 – and your good for 6 months! Side Note: If done correctly your meetup group will fill up FAST. 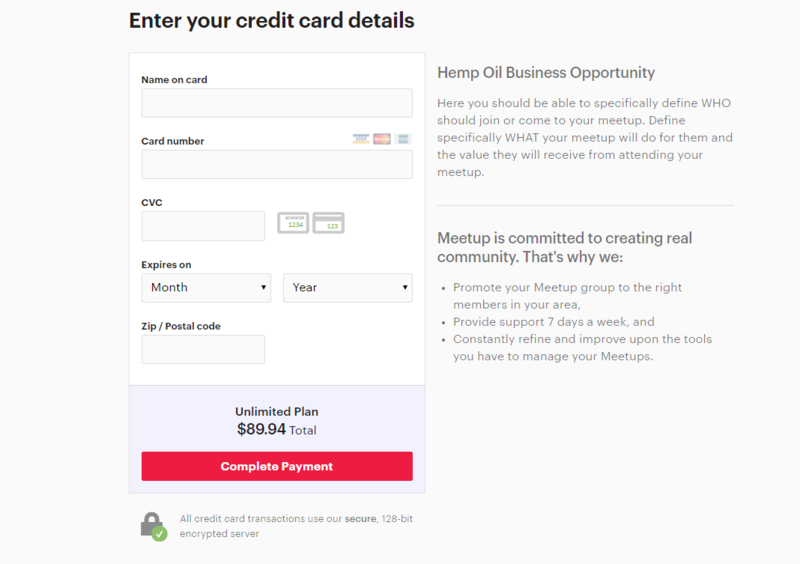 It won't take long to get up to 50 members for your meetup which is why we recommend selecting the “Unlimited” plan. 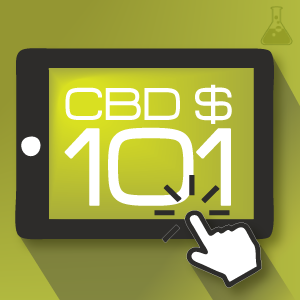 It will save you time and money in the long run. 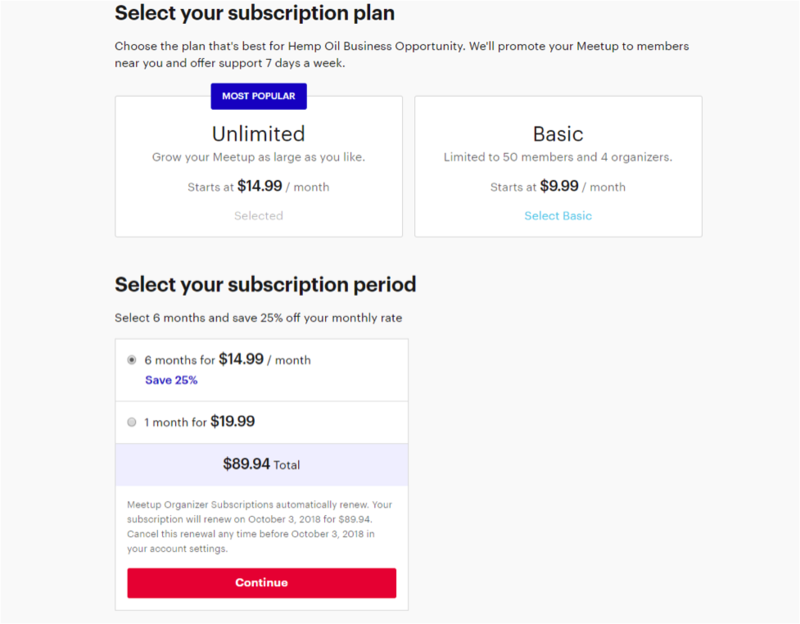 $9.99 per month when paid 6 months in advance. When choosing this subscription option you will save 33% for a grand total of $59.94 – and your good for 6 months! That's it! Now that you have a meetup created, the meetup.com team will promote your meetup group to those who are seeking a meetup just like yours. 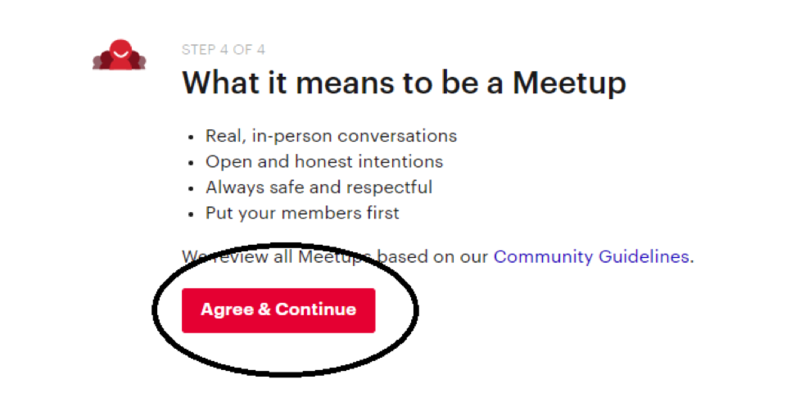 This is great because you now know that the people who attend your Meetup events will already want to hear what you have to say. People will find your meetup based on the keyword(s) you selected, in addition to the tags you select from those keyword(s) – so choose them wisely! 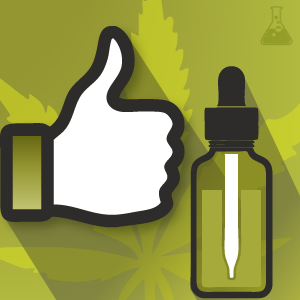 Forbes predicts that the cannabis industry could grow 700% by 2020. Why not join in on the fun? 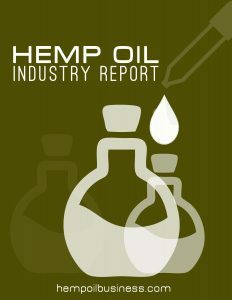 Reach out to learn more about joining our team of Hemp Oil Entrepreneurs today.